This isn’t your father’s dredging project – in fact, it may even reverse some of the dredging that was completed over a half-century ago in Lavallette, while strengthening the borough’s bayfront. 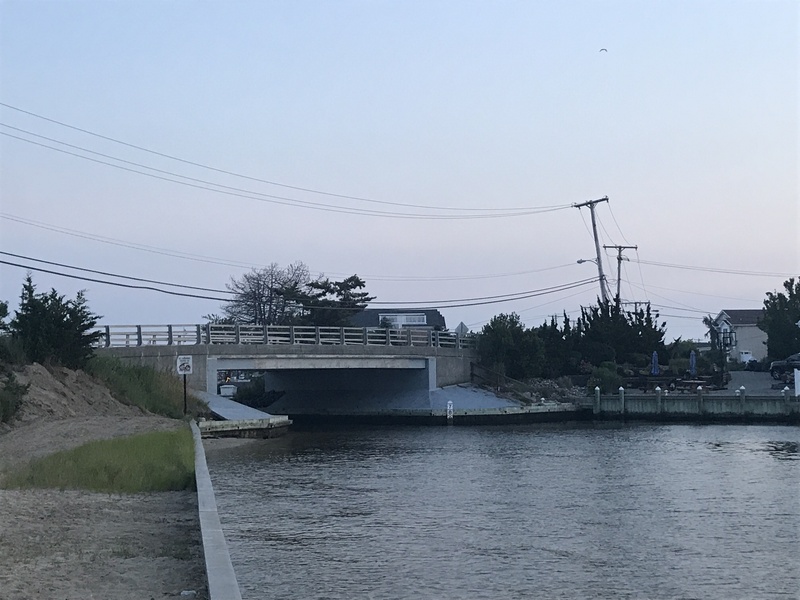 New Jersey transportation officials appear to be moving forward with a plan to perform maintenance dredging on the Lavallette Channel, a marked waterway that runs on the barrier island side of Barnegat Bay from the Route 37 bridge to Brick Township. Lavallette officials said Monday at a borough council meeting that they are moving forward with their own plan to partner with the state to improve waterways and diminish shoaling that has necessitated dredging projects in the past. Work on dredging Lavallette Channel will likely begin this time next year or in early 2020, Mayor Walter LaCicero said. But local officials face their own dredging problems. In Lavallette, sand has accumulated south of the West Point Island bridge that has made the pass untenable for some boaters and left a number of waterfront homeowners landlocked. The last dredging project near the bridge was completed before Superstorm Sandy struck in 2012, and was performed at a fee by Ocean County, which owns a dredge boat. Now, LaCicero said the borough is working with Dr. Stewart Farrell from Stockton University on a plan that could bring the state and local governments together for an ambitious bayshore project in Lavallette. The swap might be free sand in exchange for free dredging. 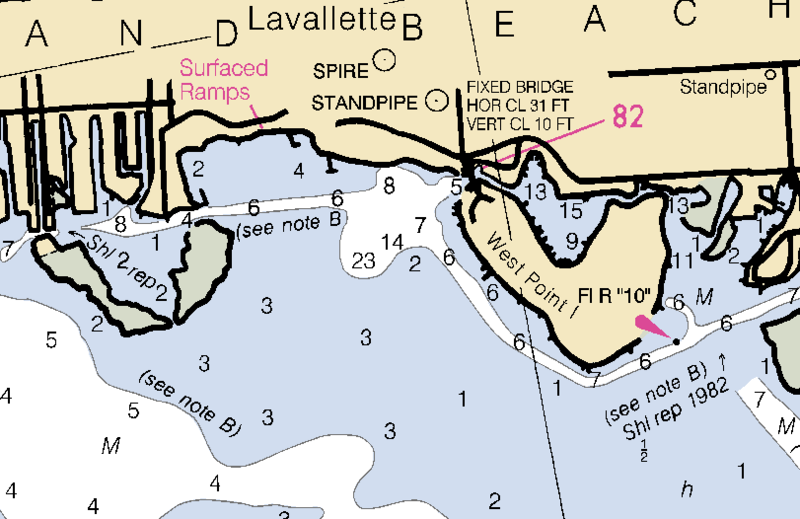 The state Department of Transportation, in addition to dredging the channel, is looking to fill in two holes that were created after emergency beach replenishment was required after the March 1962 nor’easter. At the time, the state’s answer for beach replenishment was removing sand from the bay just off the borough’s bay beach and trucking it two blocks to the ocean. But in the years since, the holes, which reach up to 30-feet deep in some areas, have stagnated. The state has conducted several tests of the bottom of the holes and found there was little to no oxygen present. The DOT now wants to fill them in so sea grasses, shellfish and marine life can flourish there. “Most of the dredge material they pull from other areas is mud, and that kind of bottom cannot support eel grass and other species,” said Councilman James Borowski. Fortunately, there is plenty of clean sand just feet away – currently clogging up the channel under the West Point Island bridge. Taking the project a step farther, Farrell and borough officials are considering a “living shoreline” project, in which a reef-like structure of oyster and clam spat, plus marine plants, which will grow over time and serve as a natural breakwater to block sand from shoaling near the bridge and the borough’s boat ramp. LaCicero also floated the idea of improving the ramp since, in the case that there is deeper water nearby, more boaters would use it. Stopping the shoaling would put an end to a decades-long problem, which the borough previously solved by periodically hiring the county to open the channel. With the project still a year or more away from coming to fruition, Farrell is reviewing permits and deed maps of which entity, exactly, owns which swath of sand. But borough officials are hopeful the project can rejuvenate the bayfront. “We’re very hopeful that this will all come together,” LaCicero said.